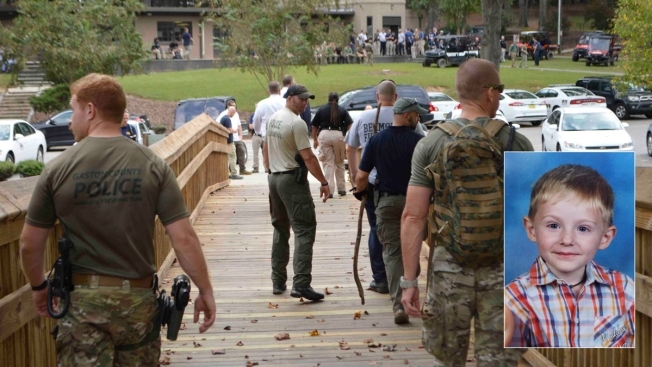 An FBI Charlotte photo shows a search party for Maddox Ritch on Sept. 26, 2018. A body believed to be that of a 6-year-old boy with special needs who went missing in North Carolina over the weekend was found on Thursday afternoon, police said. As NBC News reports, authorities have notified the parents of the boy, Maddox Ritch, and identification of the body will be done by the medical examiner's office, the Gastonia police department said in a statement. Ritch, who has autism and is nonverbal, was last seen by his father and another adult at Rankin Lake Park in Gastonia on Saturday, police have said. The FBI and two dozen agencies worked to locate him in the days that followed.